The Seer team keeps a running document of Google search features and oddities, which we collectively update whenever we spot something new. 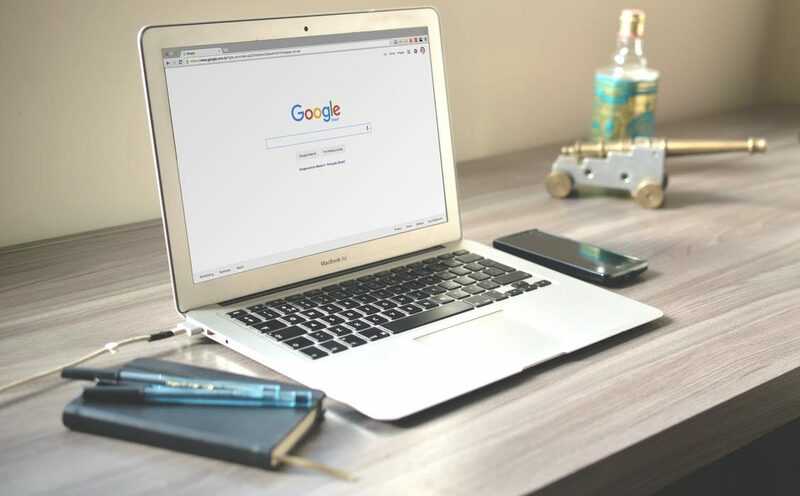 This allows us to identify trends in what features Google is testing and provide our partners with up-to-date information about the search landscape. We toss the acronym “SERP” around quite a bit, which stands for Search Engine Results Page. Here are the new Google search features that we spotted in September 2017 and what it could mean for your brand. September saw an unusually high number of devastating and unfortunate natural disasters in the Western Hemisphere. Google has proactively responded as a source for helpful emergency information by rolling out SOS Alerts to mobile and desktop search and maps. 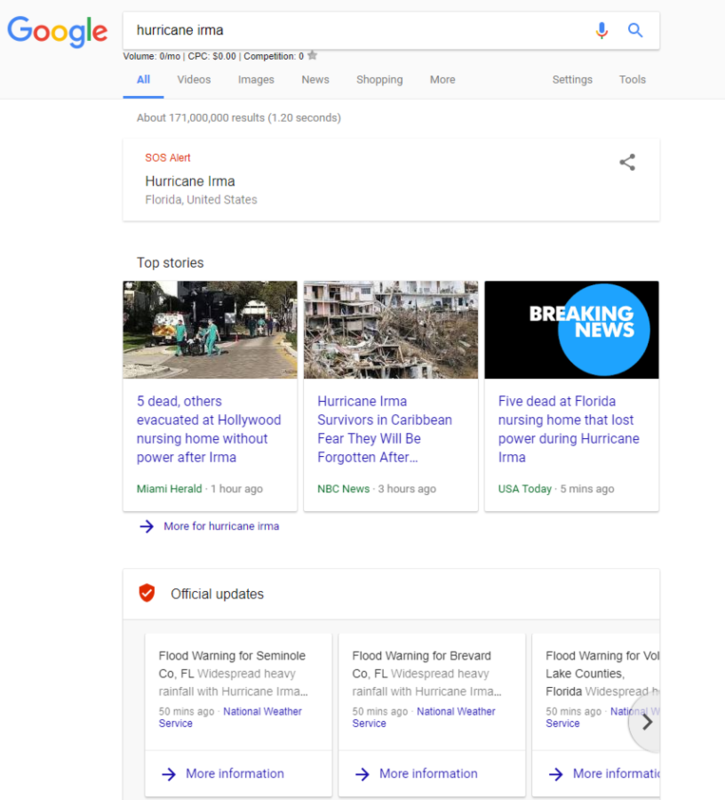 In addition to an SOS Alert, visitors are shown updates from authorities, news articles, emergency telephone numbers, “affected areas” maps, and other useful information directly in the SERP. This SOS functionality currently exists in twelve countries, including the US and Canada. Google has partnerships with public agencies which help it generate the official alerts. The update was announced by the BBC in July, but a Seer team member first noticed it live in search results on September 13 when searching for “Hurricane Irma”. You can read more about these alerts at Google’s Public Alerts Help support page. To view all active alerts, visit Google Public Alerts. What does this mean? This update is very helpful for users and allows them to get most of the information they would need in an emergency, without ever leaving the SERP. Different alerts are shown to different users, depending on their proximity to the disaster. This update presents an opportunity for local nonprofits and crisis centers to get their message in front of people who need their services at the right time. Expect to see dramatic click through rate decreases for traditional organic results ranking for terms that trigger alerts for the duration of an emergency. 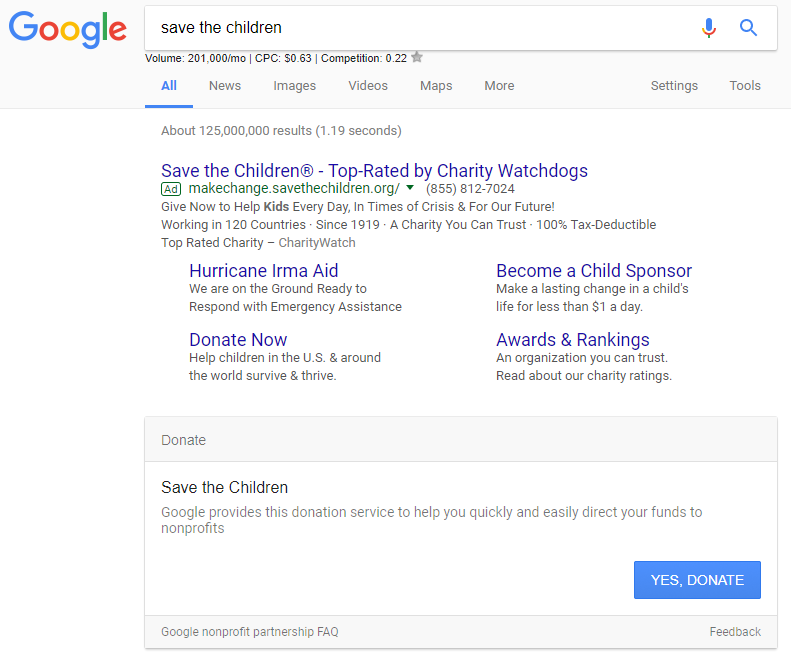 Along with adding SOS alerts, Google has recently incorporated charity donation functionality directly into search results. This update was first noticed by the Seer team on September 19 through searches for both “Hurricane Maria” and “Puerto Rico”. What does this mean? This update has a huge potential impact on click through rates and is also an opportunity for nonprofits to partner with google to increase fundraising. 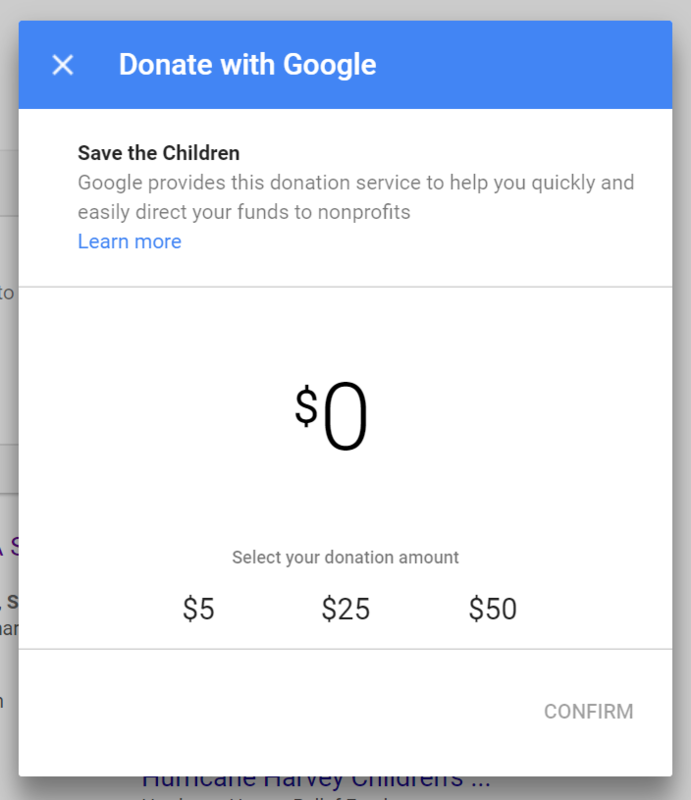 Nonprofits can find more information about partnering with Google, eligibility requirements, and apply directly at Google for Nonprofits. It is extremely important to note that these transactions happen directly in search results, without sending traffic or “conversions” to a website. Partnering organizations will need to be cognizant of likely traffic drops and decreases in website “conversions” as a result of incorporating these donate buttons for keywords which are currently driving website clicks. A Seer team member searched for “Brighton Park” during a shooting that was happening on September 16 and Google displayed a highly placed “people also search for” box for “4 shot dead in Brighton Park”. It seems this was a timely or trending addition, as searching “Brighton Park” again three days later did not return the current event headline alternative. A similar “people also search for” result appeared for the keyword “Mexico” during the earthquake on September 19. So far, this update has only been spotted on mobile. What does this mean? Google is providing query qualifiers that could influence search behavior for current events. Between this feature, the SOS alerts and donation buttons, Google is gobbling up more and more SERP real estate during current events. QR codes? This is 2017, right? Your eyes are not deceiving you, in September a Seer team member noticed that Google has rolled out a prominent QR code & barcode scanner to the search bar in Chrome. Chrome has had QR functionality since February of this year, but access was previously limited to 3D touch and Spotlight search from the iPhone’s home screen. The QR code & barcode scanner is accessible directly above the keyboard when making any search on Chrome on mobile. The QR icon lives next to the voice search icon, and its functionality is slick and natural. A mobile browser seems like the most logical place for a QR code & barcode scanner, and might help QR codes make a comeback. This update was originally identified on September 12 and is available on mobile. What does this mean? We haven’t yet seen any articles written about this new feature, nor announcements made by Google about the change. The prominent inclusion of the QR scanner could lead to increased QR code usage in the short term. On a broader level, this move could be indicative of Google looking towards visual search as a future product offering. For now, we still don’t recommend slapping QR codes everywhere. But for the right application, this scanner could save QR codes and make them a viable and practical search method. 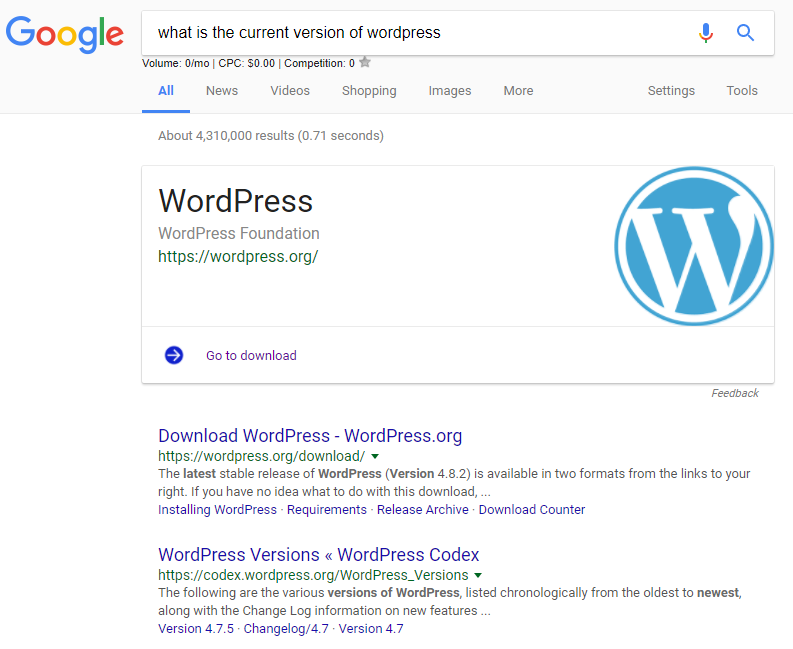 On September 21, a Seer team member noticed a ‘Go to download’ featured snippet type appearing in desktop SERPs. These snippets are currently being triggered for keywords related to downloadable desktop applications. Examples include, “iTunes download”, “what is the current version of WordPress”, “autocad software”, etc. 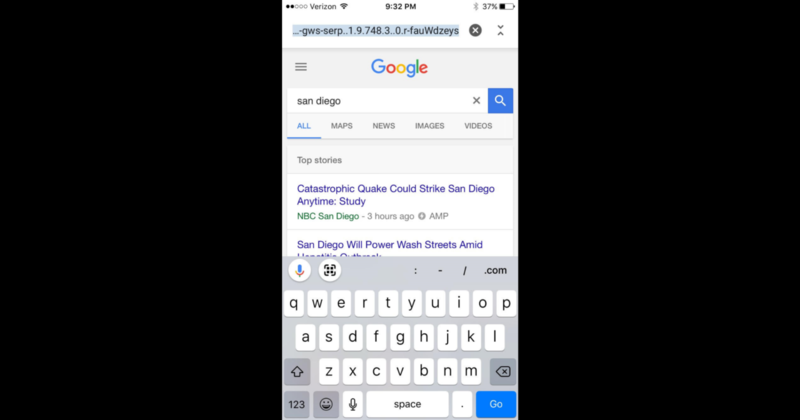 You are probably used to being able to click to view mobile apps in the app store directly from SERPs on your phone, but this is the first that we have seen Google showing similar results for desktop applications in desktop search. What does this mean? As Google continues to evolve and take up more SERP real estate, we expect similar types of snippets to extend to other industries and verticals. It is not immediately clear how to directly optimize for these featured snippets, but adhering to web design and CSS best practices as well as utilizing schema markup can ensure that you are eligible to rank in these snippets when they appear for your industry. 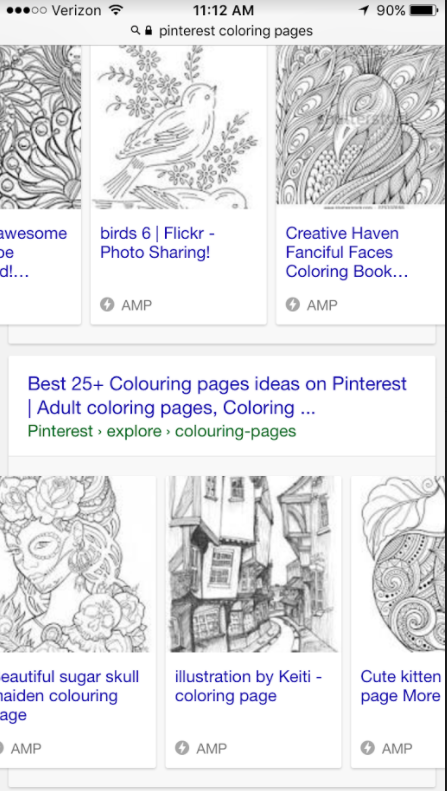 When searching for “Pinterest coloring pages”, the first four organic results have separate AMP carousels. AMP carousels are nothing new, but this was the first time that we have seen four consecutive results with AMP carousel scrolling. Similar results are shown for unbranded queries as well like “adult coloring pages”. Each AMP carousel contains ten separate results. This update was first noticed by a team member on September 13, and applies to mobile only. What does this mean? This update could have an impact on highly visual brands and search results. Top results where these carousels appear could see higher click through rates, as people may continue their search through the ten scrollable AMP carousel results under the traditional organic listing. On September 16, a Seer team member searched for her doctor’s office on Google while on her way to an appointment. 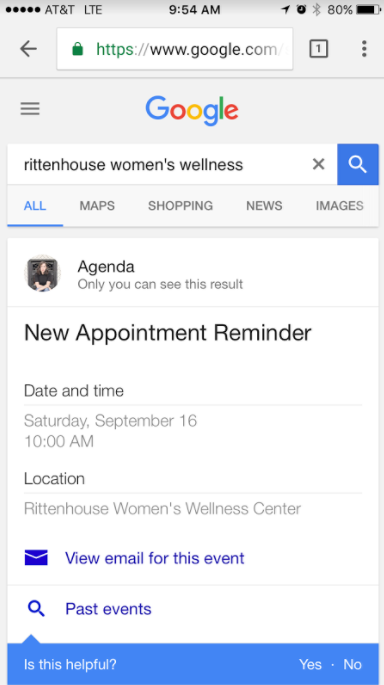 Google pulled her appointment information directly into the top of the SERP. The agenda includes the date, time and location of the appointment, as well as the ability to view the email reminder for the event. What does this mean? While we haven’t come across any official documentation from Google on the update, it appears that the agendas are being pulled from Gmail appointment confirmation emails. This update presents an additional opportunity and incentive for businesses to make sure they are sending appointment reminder emails and automated calendar appointments to patients or customers. A few days after our team member searched for her doctor’s office and discovered her agenda, she started getting even more customized SERPs. On September 19, she searched for a hotel in Iceland that she had booked a reservation for. Google displayed a “Search your Google account” box, and when she clicked, Google pulled up her “agenda”, booking dates, personal photos, and emails, not only with relevant subject lines, but also with relevant content. The emails that appeared were not organized chronologically, but instead by relevancy determined by Google. One of the emails included contained a spreadsheet with vacation ideas, but had no email body text and the subject was simply “vacation ideas”. Interestingly, “Search your Google account” only appeared for a search for the name of the specific hotel that she had booked. Searches for “Iceland” or “Reykjavik” did not show this feature, nor did searches for “Blue Lagoon” or “Blue Lagoon Iceland”, even though she booked tickets through the companies.This has been spotted on both desktop and mobile. What does this mean? It is worth noting that these results are only appearing for logged-in Chrome users. This update is an opportunity for businesses sending emails to optimize their content and any attachments to potentially show up in related searches. 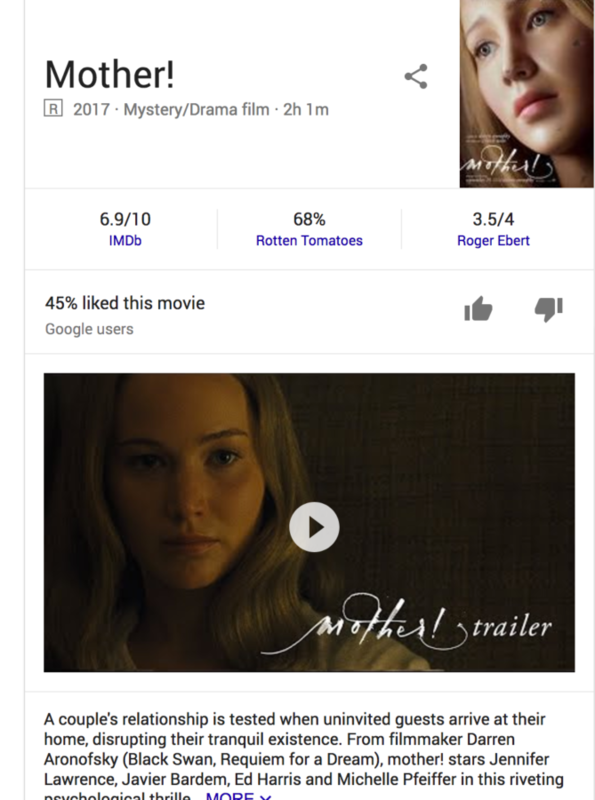 An inline, playable YouTube video currently appears directly in the SERP for a search for the movie “mother!”. For this particular search, the YouTube video is being populated from Paramount Pictures, which holds the rights to the film. This update was first noticed by a team member on September 26, and currently only applies to desktop searches. What does this mean? So far, we’ve only seen this appear when searching for movies that are currently in theaters. SERPs for movie queries are already crowded with other features like reviews, showtimes, and more, so this is just one additional way for Google to keep users from having to visit any external websites.